There is nothing more authentic than nature and some places are blessed with natural indulgences. One such place is Iceland. Packed with gorgeous assets, the naked beauty of this Nordic island country in the North Atlantic is nothing less than enchanting. Iceland is one place where Mother Nature is at her best, unadulterated and absolutely unpredictable. Made up of fjords, highlands, waterfalls, hot springs, glaciers, beaches, fertile geothermal-filled national parks and more, it is an epitome of gorgeousness. Some of the most beautiful shades and sides of nature unveil here. They say even a lifetime is less to explore its nooks and crannies. No doubt, the enthusiasm the tourists show to explore Iceland is contagious. Especially those who have a special interest in geology or even a little background in the subject, the hot water pools, the Sulphur bubbles, volcanoes and real lava takes them for a ride of a lifetime. The capital Reykjavik (pronounced Rek-eh-vik) is where everyone loves to start with and it immediately arrests you in its spell of stunning views. The charming ‘capital’ of north Iceland, Akureyri is becoming next favorite. 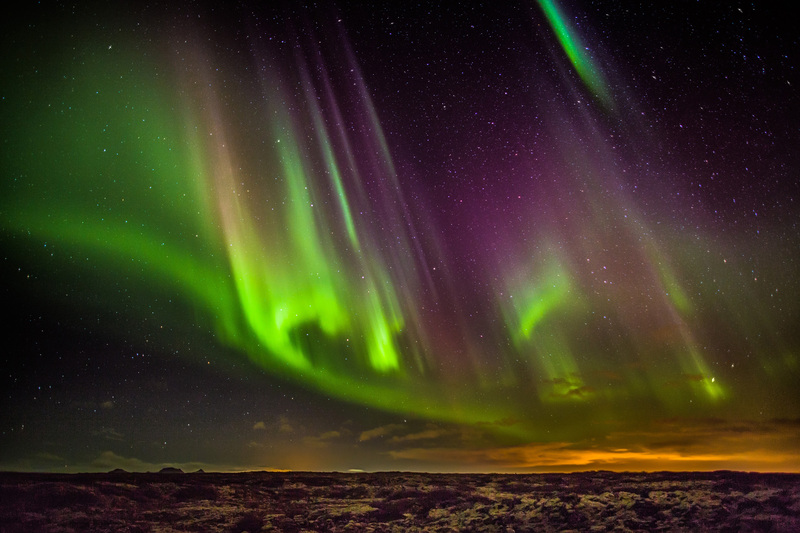 Of course, the beauty of Iceland remains incomplete without the mention of Northern Lights. Iceland is blessed with gorgeousness! Interestingly, Iceland was never just about ice. It was fire too. The lava, the hot geothermal soaking pools, and ice blue glaciers make it a unique place on the map. Rather Iceland was named so to keep the early settlers away from it because it was gorgeously attractive. One of the most interesting things about it is that it doesn’t have much greens or trees and is largely barren with grey sand desert but it attracts millions of tourists for its fabulous landscape. Vestmannaeyjar, the largest puffin colony. 1. The otherworldly feel and drive from Reykjavik to Snaefellsnes Peninsula. Highway 54 that takes one around the peninsula. Highway 47 leaves you gasping. 2. The incredible Golden Circle Tour which no one dares to miss out. 3. 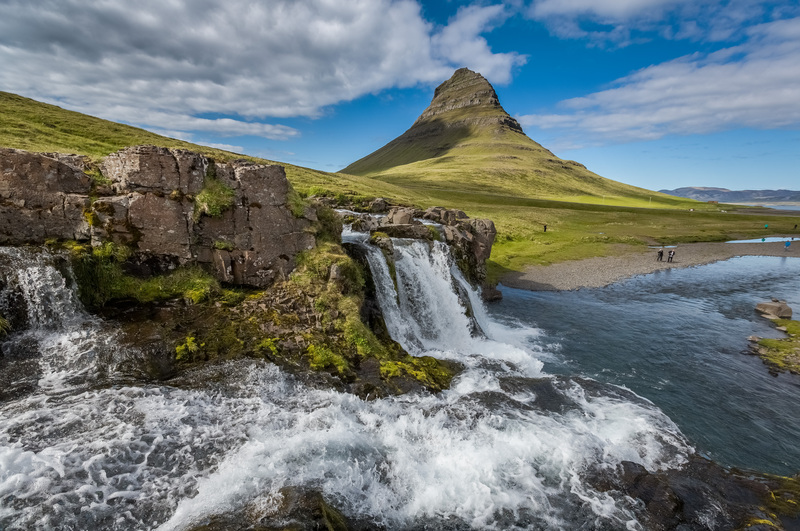 Some of the best waterfalls of the world are in Iceland. Kirkjufellsfoss waterfall and Seljalandsfoss waterfall make amazing sights. 4. 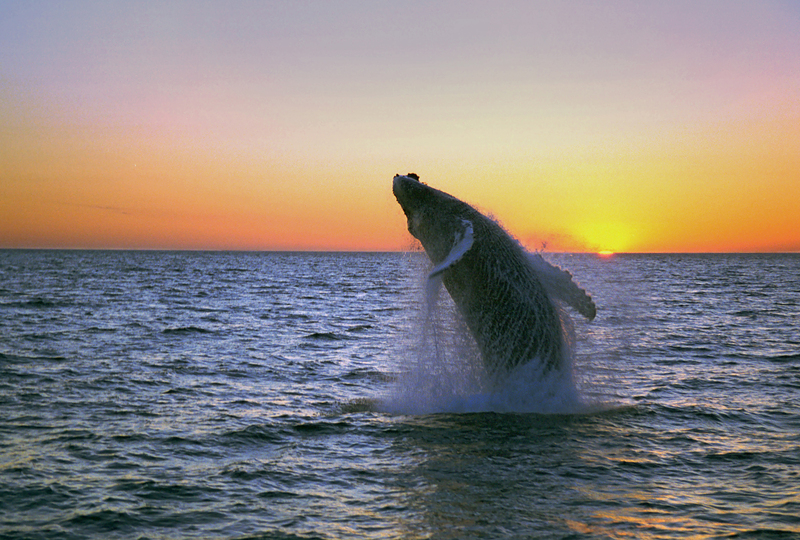 The Whale watching trips are one of the ways to enjoy the majestic beauty of Icelandic wildlife. 5. The sunset at Seljalandsfoss is termed magical as the water shines like gold. 7.The continental divide of Thingvellir National Park, where the American and Eurasian tectonic plates keep pulling each other. 8.The most active volcano, The Vatnajökull glacier is stunning. It is the largest glacier in Iceland and among the largest in Europe. 9.The Strokkur Geyser is one of the most interesting phenomenon. 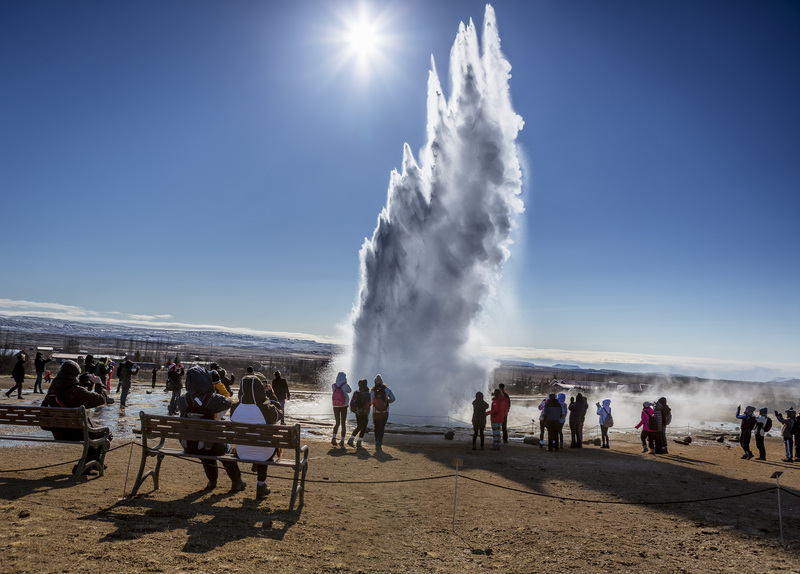 The breathtaking Geysir erupts around every 10-15 minutes and leaves you happy as a kid. 10.The ferry ride from the harbor town Stykkishólmur to the tiny island of Flatey is a joy ride. 11. Þingvallavatn, the biggest lake in Iceland is worth a see and Þingvellir where Iceland’s first parliament was founded in the year 930. 12.The popular beach of Iceland’s southern coast where one finds a plane shell. A crashed U.S. Navy airplane makes for the famous Sólheimasandur Plane Crash. 13. Dyrhólaey Rock Formation that overlooks the black sand beach is a beauty. 14.The green canyon of Fjaðrárgljúfur where Justin Bieber’s music video was shot. 15. The hike to the hidden and one of the best waterfall of Iceland – the black Waterfall. 16. The unique Jökulsárlón Glacier Lagoon is out of the world. The icy chunks all around are adorable. 17. Vestmannaeyjar, the largest puffin colony in the world! 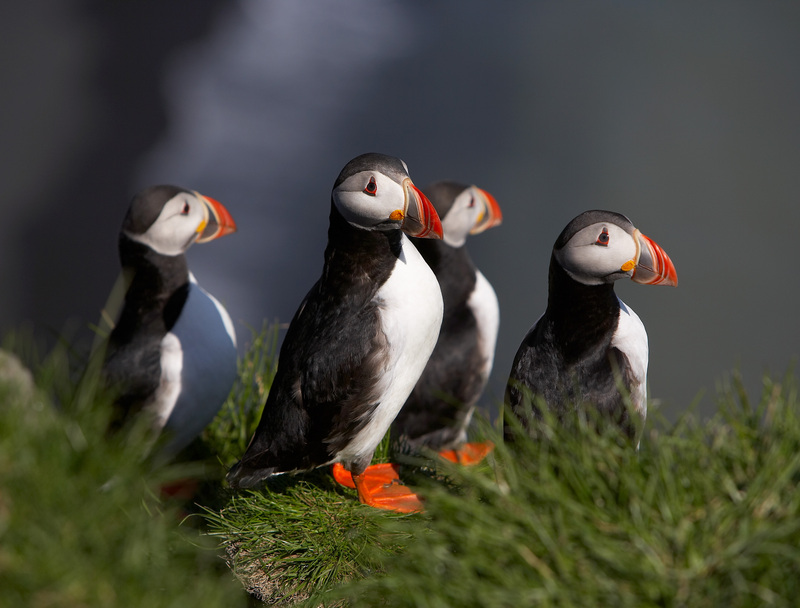 60 percent of the world’s Atlantic puffins are found in Iceland from April to September. 18. Icelandic fauna is very interesting and it includes the Arctic fox, mink, mice, rats, rabbits, reindeer, etc. 19. The Icelandic Phallological Museum is unique and one of its kinds. 20. The famous Reynisfjara shore and its black beach is gorgeous. 21. The entire Ring Road circuit is worth a see. 22. Hafnarfjordur, where it is believed that the elves live and thrive. The Islandic mythology believes in hidden people. 23.For some of the best food in the world and to get a taste of Iceland’s “signature dish”, Skyr (sk-ear). 24. If you love hiking and have an adventurous heart, you can’t stop yourself from going for Solheimajokull Glacier trekking. 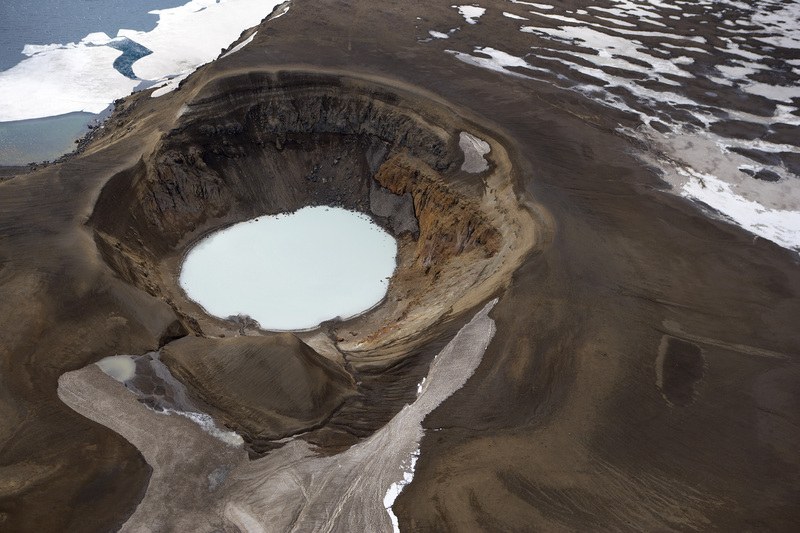 25.What fun it would be to go to Þríhnúkagígur, the only place in the world where you can actually go inside a volcano. 1. 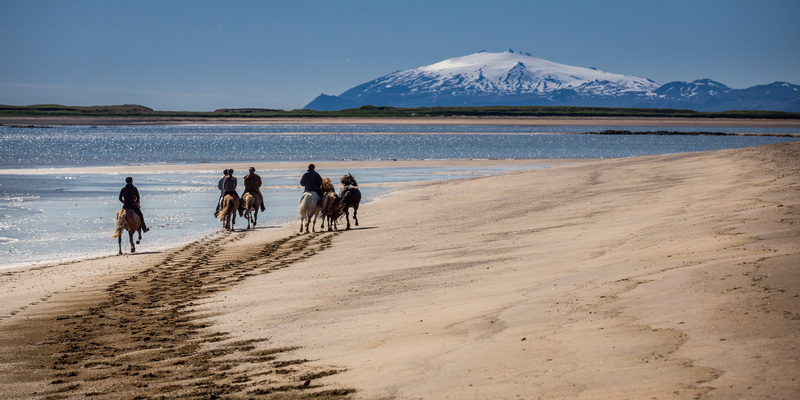 Rental cars and taxis are the most easy and accessible way to travel in Iceland. Camper vans are another very good way to travel in the country. 2. One must pack or rent camping gear. You will find many local campgrounds to stop and call it a day. You could camp near splashing water with view of waterfalls or just spend the night between the greens, wake up to pink sunrises or azure blue skies. 3. Traveling to Iceland without a DSLR is a crime. Every curve is gorgeous. It is mecca for film-makers and photographers. Take zoom lens for birding. 4. Carry the right clothes as per the month and its weather. Warm clothes are a must. 5. One of the routes that you may take while exploring South Iceland – Keflavik – Reykjavik – Hveragerði – Selfoss – Seljandsfoss – Vik – Laufskálavarða – Skaftafell. 6. Claim a window seat because flying into and outside Iceland is one unforgettable experience. 7. Icelanders are amazing, cheerful, non-intruding and very helpful people. Thanks for sharing. Now I have another addition to my travel bucket list!